Provide comfort for the family of Dora Harrington with a meaningful gesture of sympathy. 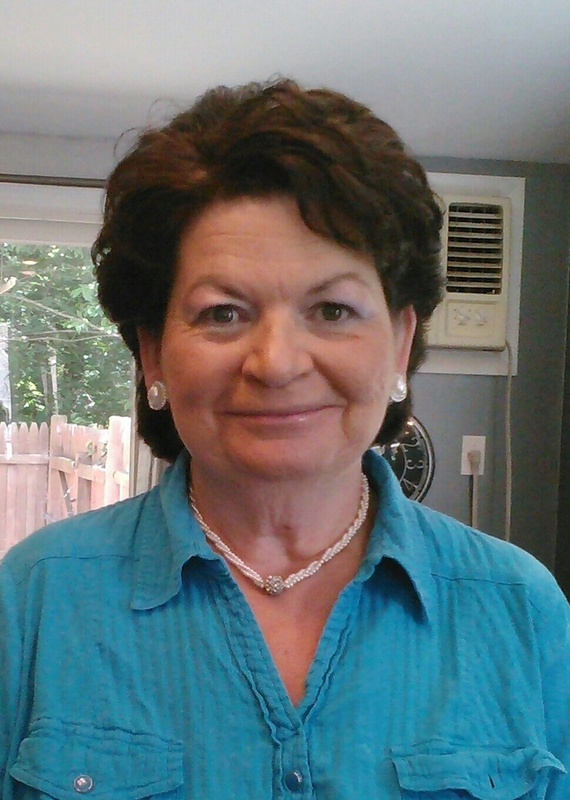 GRAFTON: Dora M. (LeBlanc) Harrington 64, a loving wife, mother, grandmother and beloved friend, passed away at home with her devoted family by her side on Wednesday, January 16th, 2019 after a long illness. She leaves her husband George B. Harrington of 47 years, three daughters, Barbara E. Gannon and her husband Raymond C. Gannon, Linda M. Rioux and her husband William Rioux, Melissa A. Mahlert and her husband Donald R. Mahlert and her son Joseph E. Harrington. Her grandchildren: Rachel and Timothy Rioux, Raymond and Christopher Gannon, Joshua and Johnathan Harrington and Jocelyn Hackathon. Her siblings: Alice Bierch, Jeanne Angel, Ann Trottier, Alex, Roy, Robert and Thomas LeBlanc along with multiple beloved nieces and nephews. She is predeceased by her parents, Edgar J. and Mary L. (Miller) Leblanc of Millbury. Her siblings Rita Jakubiak, Loretta, Linda, Raymond and William LeBlanc and Rose Moore Thibault. She was born in Worcester on April 23, 1954, raised in Millbury and attended Millbury schools. She worked as a CNA and laundry aid at Millbury Providence House Nursing Home and Lydia Taft where she was beloved by all whom she cared for. She loved snow globes, tulips, enjoyed scenic rides, summer vacations in Maine, going to breakfast, bird watching, puzzles and occasional visits to the casino. Most of all she loved spending time with her family and beloved pets Loki and Asha. A prayer service will be held Thursday, January 24th at The Baptist Church of Grafton, 1 South St. beginning at 11:00am followed by a Celebration of Life reception at the American Legion located 69 Worcester St. Grafton. Dora was a dedicated St. Jude Children’s Hospital monthly donor. In Lieu of flowers, please honor her with a donation at stjude.org/donate. To send flowers to the family of Dora M. Harrington, please visit our Heartfelt Sympathies Store. Consider providing a gift of comfort for the family of Dora Harrington by sending flowers. We encourage you to share any memorable photos or stories about Dora. All tributes placed on and purchased through this memorial website will remain on in perpetuity for generations. Provide comfort for the family of Dora M. Harrington by sending flowers. First and foremost to all sorry for your sadness and loss. I had the pleasure of meeting and being in the company of Dora . Meeting her through my dear friend Melissa who loved and cherished her mom as well as Linda and Barbara . Dora raised beautiful people who cared for her and gave the gift of peace in passing and her spirit will remain in your hearts and souls as long as you live . What you enjoyed and deeply loved we can never lose . For all that we love deeply becomes a part of us. Linda & Family, I am so sorry for your loss. I hope you can find some comfort in your memories. She will forever be in your heart and a memory away. May she rest in peace.